Custom Reflective Stickers & Decals - Let It Shine! Custom Reflective Stickers & Decals – Let It Shine! Reflective stickers and decals are made from a light reflective polyester. More specifically, the reflective material is an enclosed lens (with glass bead technology), retroreflective film. Regardless of it’s composition, reflective decals are great for high visibility in low-light or dark conditions. Reflective decals and stickers are usually not used for promotional purposes, though they certainly could be for the right type of product. For instance a bike helmet company might want to strengthen their branding with a sticker that increases brand visibility and actual bike safety. High visibility, reflective stickers are primarily used for safety decals, parking permits, security stickers, warning stickers, and hard hat decals & stickers – messages and signage that needs to be easily seen/recognizable when hit with a beam of light. It should be noted that the graphics on a reflective sticker are not more legible or visible at night. They will not glow in any way. The graphic will look the same as something printed on regular white vinyl in regular light but, when hit with direct light in dark conditions it is the overall shape of the material that will reflect, not the graphic detail printed on that material. To maximize the reflective qualities of white reflective stickers special transparent inks are used to let the light reflect through. Available transparent ink colors include; red, blue,orange, green, yellow, purple, magenta, teal and gold. 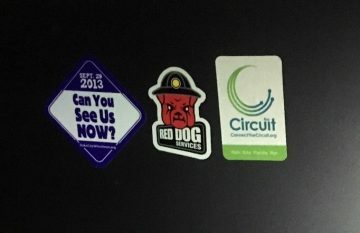 Please contact Websticker with any questions about custom printed reflective stickers and decals, or fill out sticker quote form for pricing. 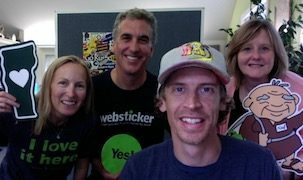 Jeff Nicholson is the founder and Creative Director at Freely Creative, Inc. and Websticker, a marketing company specializing in the design and production of promotional stickers, decals and labels. He is the author of Stick This! 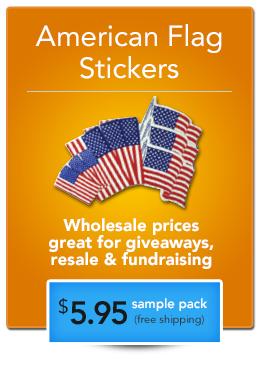 Using Promotional Stickers To Build Identity, Create Word Of Mouth and Grow Sales. We specialize in durable, outdoor vinyl stickers for long term promotion. Choose your style and spread your name or message far and wide! 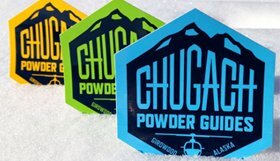 Do Outdoor Stickers Need To Be Laminated?